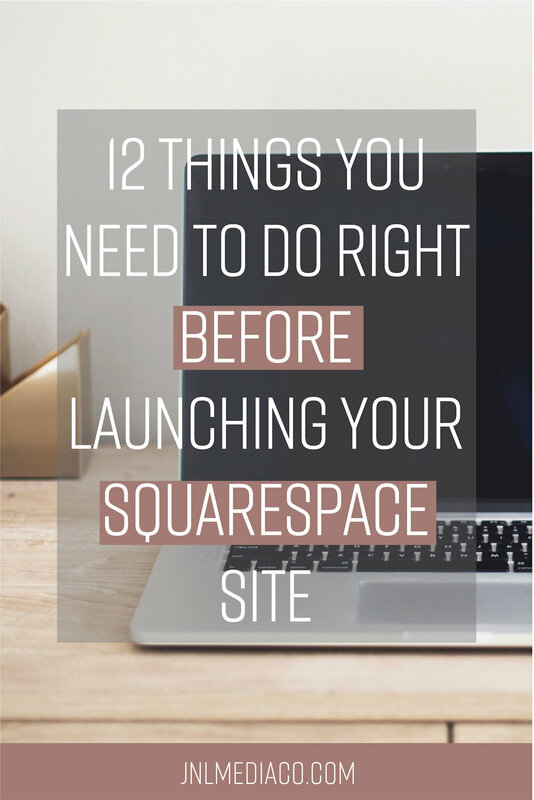 12 Things You Need to Do Right Before Launching Your Squarespace Site | JNL Media Co.
Congrats! Your site is ready to launch so I can’t wait for you to start sharing your new online home! No more website shame means you’re probably super excited to start landing your dream clients but before you go live there are a few things that need to happen. Although Squarespace has it’s very own built-in analytics, I always recommend for clients to consider using google analytics as well. Google analytics provide you with more in-depth information about how your site is being used so this is something you are going to want to know about. Home Menu, click Settings ⇒ Advanced ⇒ External Services. Doing this will help Google update it’s search results with all your brand new content. The best method to do this is by submitting your sitemap on your Google Console account. This one doesn’t need much explanation. Just make sure to proofread your whole site for any grammatical errors. This section is technically optional as well but this doesn’t mean you should ignore it. In the Business Information panel, you can do several things like add your business name, address, phone number, email, physical location, and business hours. Before proudly sharing your new site you should definitely add your SEO description by clicking on Marketing ⇒ SEO. This tells search engines aka Google what your site is all about and it’s a great place to include the keywords you want to rank for. 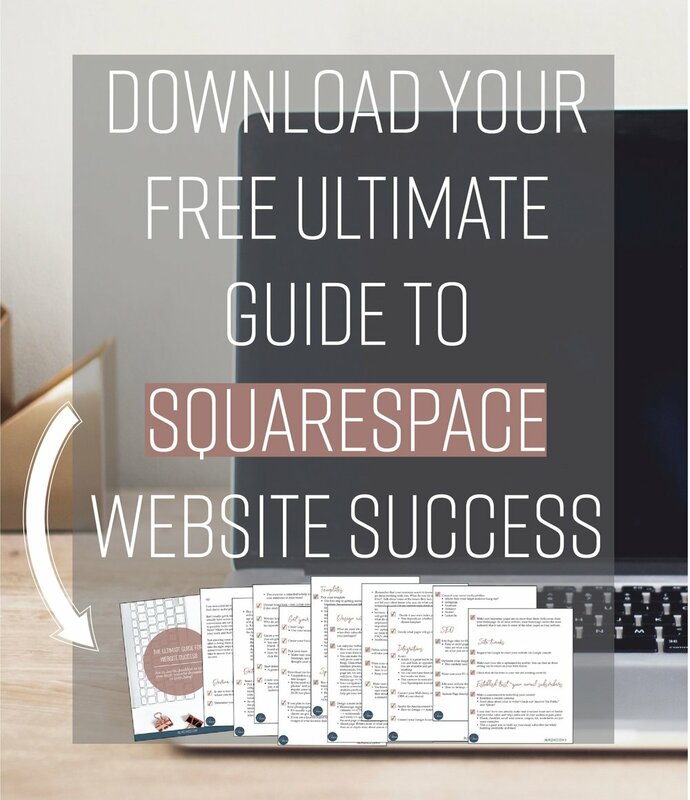 All Squarespace sites are already mobile optimized but you still have to make sure you adjust your mobile settings. What I mean by this is that the font types, font colors, font size, button colors, menu style, and more, are already preset depending on your template. You are going to want to adjust these in order to stay consistent with your brand. Google can’t read images so you’re going to want to tell Google what your image is all about. By adding a filename you increase the chances for coming up on google images! Also, make sure you adjust your images so that the file is no bigger than 500KB. This will ensure that your site loads at an optimal time and helps your SEO efforts (site load time affect SEO). Squarespace already displays a 404 page when it’s unable to find the page because of a dead link or wrong URL but you can customize this page and I recommend you do so. Follow these instructions to add your custom 404 page. 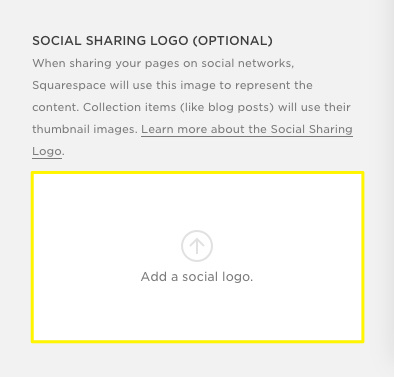 A social sharing logo is separate from your main logo and needs to be added separately. By editing this you are able to control what’s displayed when you share any link to your site on social media sites. Whenever you start a new Squarespace site, Squarespace automatically includes a “Powered by Squarespace” button on the footer so all you have to do is go into the footer and delete the text box. Some templates have this linked on the Footer Main Navigation section so just delete it from there. We all love to make our lives easier, right? Well, making an index page for your site will do just that! By making an index page outlining your H1, H2, H3, body, quotes, and buttons you are able to view the styles of all of these all on one page. Make sure you put this page on your “Non-linked” section.